We just learned about Mexican Lance-Headed Rattlesnake. 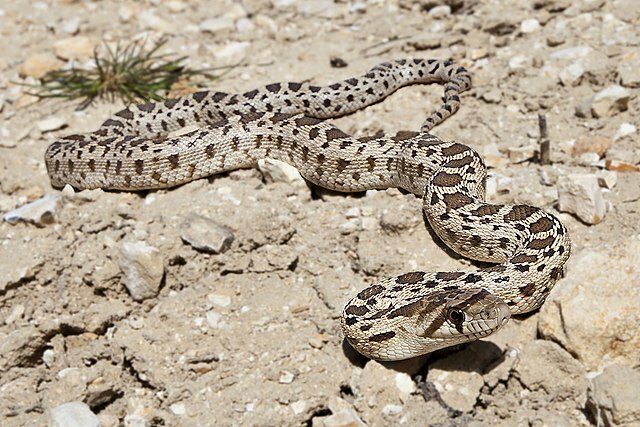 Another type of snake is the Aruba island rattlesnake also known as crotalus durissus unicolor. This snake only lives on the small island named Aruba, which is in the Caribbean just north of Venezuela. It is an endangered species, with only around 250 of these snakes left in the whole world. The area they live in is very small, and humans keep moving closer and closer to where they live. It is also illegal to take them out of the country, so they can't go live somewhere else. Many zoos are working together to help bring back more of these snakes. We just learned about the medulla oblongata. The medulla oblongata, together with the pons and cerebellum make up what is called the hindbrain or the rhombencephalon. We just learned about the christian symbol of the crucifix. Another symbol is the ichthys, pronounced ick-thes. The word ichthys is Greek for fish, and was used as an acronym to mean Jesus. Chi (ch) is the first letter of Christos (Χριστός), Greek for "anointed." Theta (th) is the first letter of Theou (Θεοῦ), Greek for "God's", the genitive case of Θεóς, Theos," Greek for "God." Upsilon (y) is the first letter of (h)yios (Υἱός), Greek for "Son". Sigma (s) is the first letter of sōtēr (Σωτήρ), Greek for "Savior." Long ago there were some people that really did not like Christians, and so they had to find ways to hide who they were, and to send messages to each other. So they would draw a picture of the fish as a secret way to mean Jesus. We just learned about the ancient sculpture of the Jockey of Artemision. Another ancient sculpture from the Classical Period is the Elgin Marbles also known as the Parthenon Marbles. These are marble sculptures that were once in the large building known as the Parthenon. They were made by a team of sculptors that worked for the famous Greek Sculptor named Phidias. and July, August is Luglio, Agosto. We just learned about the Anvil used in blacksmithing. The anvil has many parts that are useful to a blacksmith. The main top flat part of the anvil is called the Face. We just learned about the Puffing Snake. Another type of snake is the Mexican lance-headed rattlesnake. This is a venomous snake living in Mexico, with very dark spots on it. We just learned about the part of the brain called the pons. Another part of the brain is called the medulla oblongata. This part of the brain helps control your heart pumping, your body using up oxygen, and how you swallow, cough, sneeze or throwup. We just learned about the mountain peak Cho Oyu. The next highest mountain peak is dhaulagiri in Nepali, which means dazzling white beautiful mountain. This mountain is next to a very deep gorge, which is a very low point, and it goes almost straight up from the gorge. We just learned about the Christian symbol of the Cross. Another Christian symbol is the crucifix. This is a cross that shows Jesus on the cross being crucified. Many churches have these crucifixes as artwork by their altar, and some people carry around a crucifix instead of just a cross. and May, June is Maggio, Giugno. We just learned that a forge is a hot fire that blacksmiths use to heat up metal. When the metal is heated up, blacksmiths pound it against an anvil, which is a large hard piece of metal. We just learned about Pacific Gopher Snake. Another snake is called the Puffing Snake, also known as psuestes poecilonotus. It has a yellow belly and it puffs itself up if it is threatened. It is not venomous and mostly eats small bird eggs. We've learned all about the Church Calendar. Let's learn about some of the symbols used in the Christian Church. The most well known symbol used is the Cross. Crosses come in all shapes and sizes, and are used to help remember when Jesus was crucified on the cross. We just learned about the Winged Victory of Samothrace. Another ancient Greek statue is Moschophoros. This is a statue of someone holding a cow carrying it to a sacrifice. We already learned that January, February is Gennaio, Febbraio, and March, April is Marzo, Aprile. We just learned about Blacksmith. The blacksmith heats up the metal to work with in a forge. A forge is like a big hot oven. We just learned about the Ring Necked Snake. Another type of snake is the Pacific Gopher Snake. This snake is not venomous, but it sometimes pretends to shake like a rattle snake, and can shake the grass to make the same noise. Sometimes two snakes will fight for over an hour, twisting around each other like wrestlers. We just learned about the subthalamus. Another part of the brain is the cerebellum. This part of the brain is mostly used to control the movements of the body. We just learned about All Saint's Day. 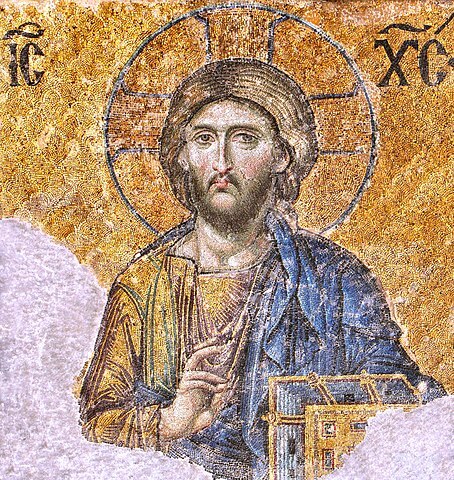 The next date in the church calendar is the Feast of Christ the King. We just learned about the statue of Peplos Kore. Another famous sculpture is the Winged Victory of Samothrace. This is a statue of the mythical goddess Nike, that was created to honor a sea battle. The way the statue is standing, it was meant to look strong and graceful. It is a Hellenistic sculpture which means it was made when the Greek empire was ruling. We just learned about Metalwork. One of the types of metalsmithing is called blacksmithing. Long ago the blacksmiths were people that made everything from swords to spoons to pots and pans.